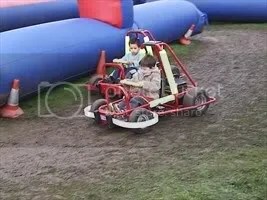 Tom first drove a kart during a family day out in Easter 2005. His immediate love of it soon meant he was driving indoor electric karts every school holiday and his competitiveness and talent shone through as he won over 30 1st place medals and was always on the podium. 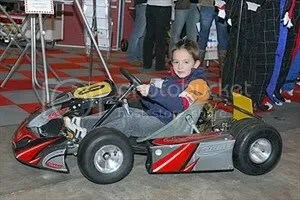 Tom was keen to move into petrol karts and a visit was made to Kartmania in Nov 2007 – where he found a new Bambino school was being launched in 2008 meaning he could compete in petrol karts in the next year. Tom contested the Bambino rounds through 2008 and 2009 – becoming the most successful Bambino racer at Buckmore, winning 12 out of 18 rounds in 2009 and being on the podium 17 times. His final Bambino race at Buckmore was in Oct 2009 (he won both rounds)– he then moved into MSA cadet racing. Tom had to compete in 5 races as a novice in cadets (on black number plates) before being allowed to have a full race licence. He won 3 first place novice trophies in these early meetings. 2010 was a year of learning in a very competitive class. Tom won his last novice race in February making it 3 out of 5 novice trophies. The rest of the year he raced 3 times a month at Rissington, Whilton Mill and Shenington. 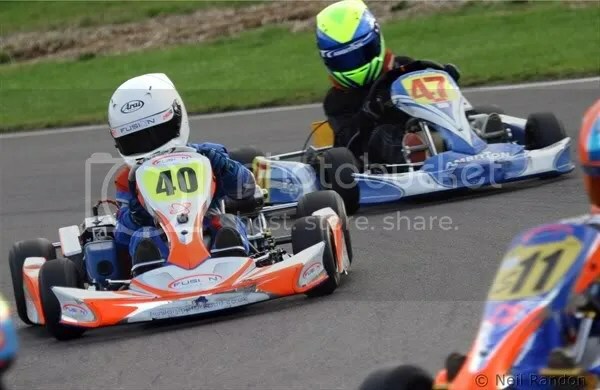 He won his first race heat at Shenington in June, was narrowly beaten for the win in the final at Rissington in July and finished 5th in a very strong field at Whilton Mill in August. The highlight of the year was winning the most promising cadet trophy at the Shenington awards evening. 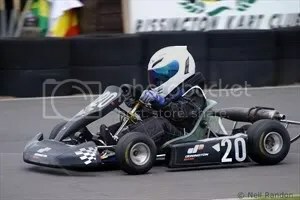 In 2011 Tom entered the Formula Kart Stars British championship racing with SAS motorsport. This was a big jump from the club meetings he had been used to competing with much more experienced drivers, up to 5 years older than him. However Tom pushed hard as always and finished an impressive 26th overall out of 56 in the final championship standings – the highest placed young driver. He also competed in the Shenington Club championship finishing overall in 3rd position with many podium finishes to his credit. 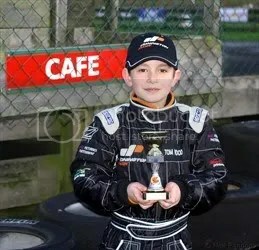 At the end of 2011 Tom signed for the top cadet team in the country – Fusion Motorsport. 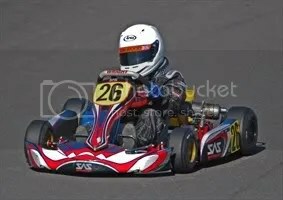 He will be competing in the Formula Kart Stars (FKS) championship in 2012. Tom had a very successful year with the Fusion Junior team. He competed around the country in the British Cadet Championship and finished the season 9th overall. He was the highest placed young driver. 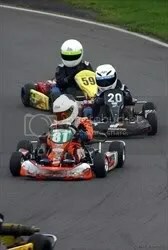 Tom won the TVKC Club Championship (won by Lewis Hamilton in 1976) and also won the Brazilian Cup held at Whilton Mill. 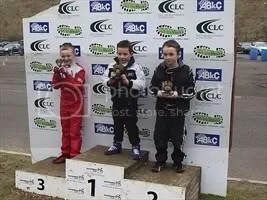 Another fantastic result for Tom was to claim 3rd on the podium in the MSA Kartmasters British Kart Grand Prix. He will be competing in the British Iame Cadet Championship, National Comer Cadet Championship and Little Green Man Championship in 2013. In 2013 Tom had an outstanding year. The National Cadet Championship went down to the last round at Shenington, with Tom lying one point behind the leader. Tom won the coveted Trent Valley Kart Club Winter Series and after extremely close finishes in the MSA British Kart Grand Prix and British Open Plate, proved he is a force to be reckoned with. 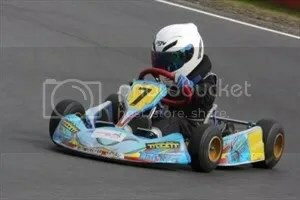 In 2014 Tom competed in the Super One British Iame Cadet Championship and the Little Green Man National Iame Cadet Championship. Always at the front and looking the strong favourite to win the title,Tom was suffered mechanical issues and a couple of crashes put pay to his chances finishing 4th in Super One. The LGM had a bumper grid of over 70 drivers, and Tom was consistently on the podium at all but one round. The last round was held at PFI near Newark and after a spectacular display of his talent, he took the 2014 LGM title in style. His first drive of a Minimax in the winter proved Tom was ready to move to the bigger class, and after competing in the TVKC Winter Series came away with the Minimax Vice Champion title.